What exactly was the moment when Dr. Dre went from being a rap producer to the all-seeing oracle of the hip-hop industry? The crucial transformation in a career of crucial transformations can be traced to Dre’s initial partnership with Eminem. In 1997, Dre was struggling to make Aftermath relevant following the massive cultural significance of his Death Row recordings. Now the papers were reporting that he was determined to break a blonde emcee from Detroit. It at first seemed ludicrous, the early sign of an unavoidable decline. It turned out to be just the opposite. 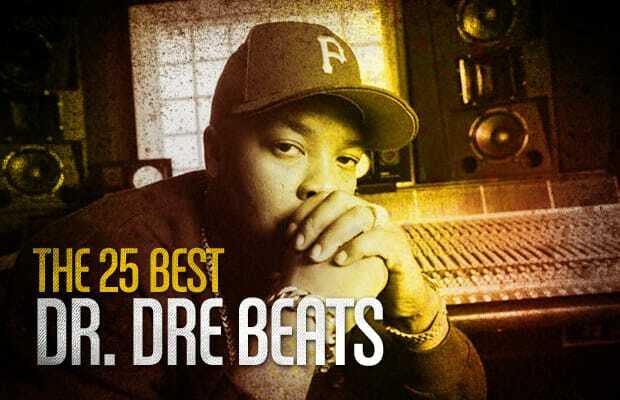 Dre’s endorsement of Eminem became the most successful bet of the producer’s life, surpassing even Straight Outta Compton and The Chronic, two of the most seminal and individualistic album-length statements in hip-hop history. In discovering, grooming and marketing Eminem (with the help of his industry shaker, Jimmy Iovine) Dre confirmed that he was in possession of powers beyond the musical. His work with Eminem led into the release of 2001, which renewed his creative license for a new generation and segued into his work with 50 Cent and Game. Since that time, he has continued to make music but at a much slower rate than 10 or 15 years ago. His beats now feel expensive and important, and it’s sometimes easy to long for the days of “Let Me Ride,” when his music felt more organic and unselfconscious. However, his abilities as a beatmaker have long since been superseded by his presence as a tastemaker. Because of this, the expectations for his new music have gone skyward, and Dre has always made it his mission not only to meet but to exceed the public’s expectations of him.